Hey people. So I was really hoping that this post would show off my excellent flat iron skills, but I was wrong. It ended up being a realization that the fight with humidity is mad real. But although I had some issues, trust and believe I know what I’m doing. So my big concern right now during my transition is heat damage. At the beginning of my journey I was using a titanium flat iron with very little heat protectant. For months now I’ve been laying low on straightening my hair and instead using low manipulation styles to try and help my curls bounce back. Since I wanted to wear it straight, I went back to my ceramic flat iron and found a protectant during a product hunt at Target. 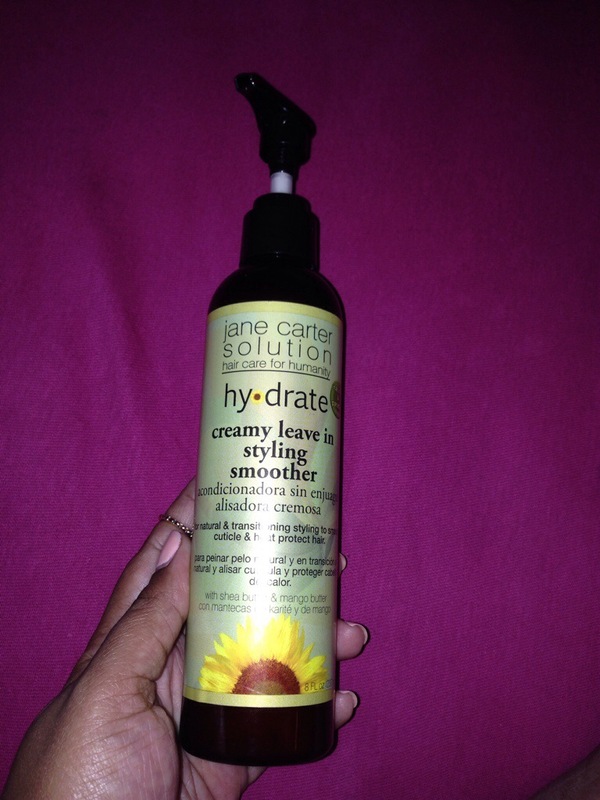 There were several products to choose from but I ended up settling on the Jane Carter Solution Creamy Leave in Styling Smoother. 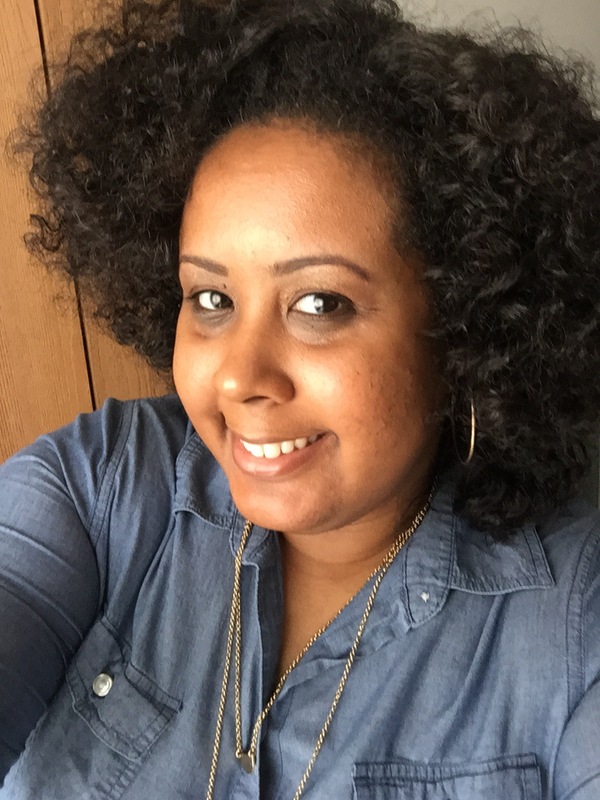 This product was especially designed to protect natural and transitioning hair during heat styling which was perfect for me and I found it to be very moisturizing without weighing my hair down. Since I was going to flat iron my hair I decided to begin the process by doing a hot oil treatment for added protection. After sitting under the dryer for a few minutes I followed up by washing my hair with Carol’s Daughter Monoi shampoo and conditioner. 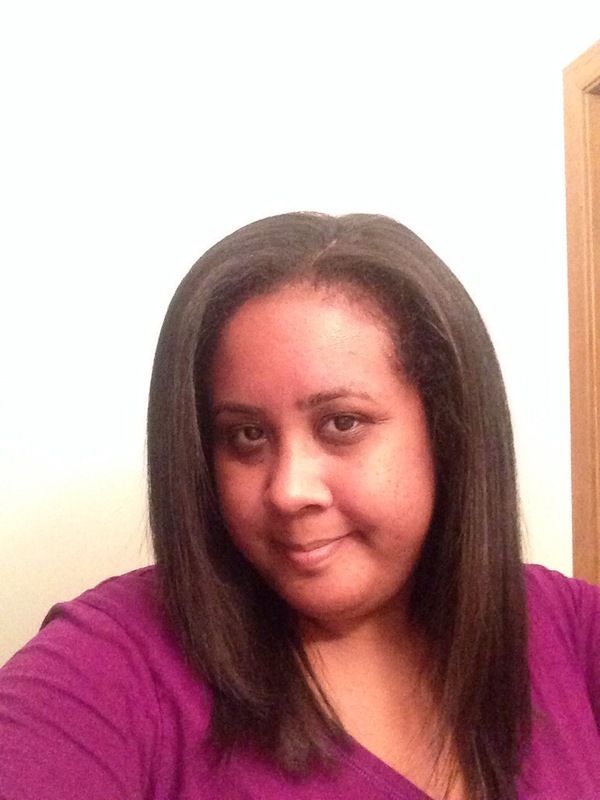 After cleansing my hair I used a few pumps of the leave in moisturizer and coated my hair from root to tip. I then blow dried my hair in sections. Here’s a look at it after blow drying. It’s big, huh? 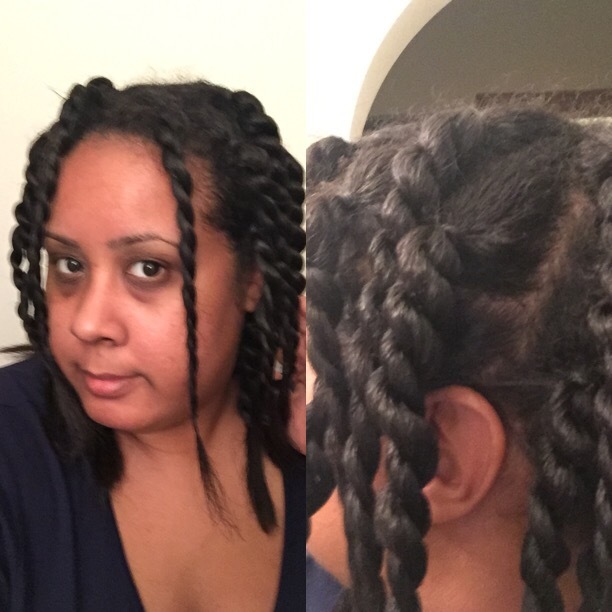 I added another two pumps to my dried hair for more protection before flat ironing. 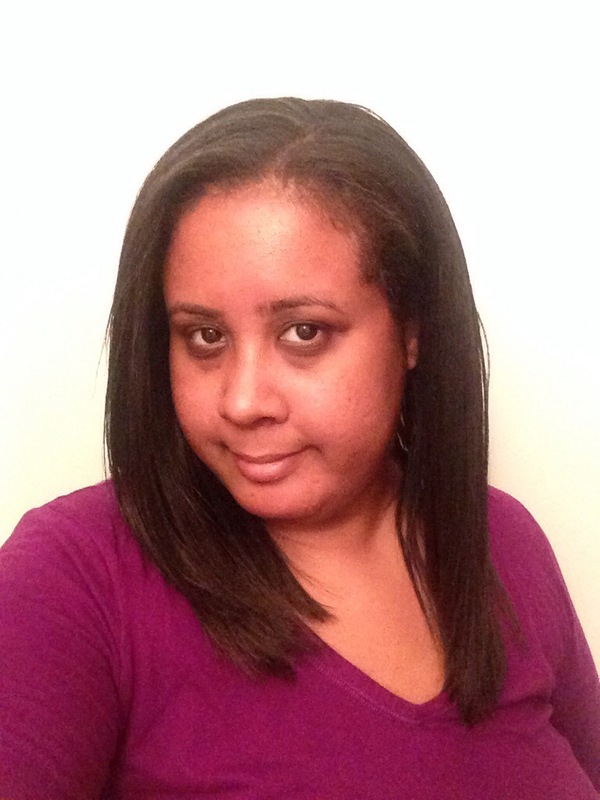 Next I began to flat iron by parting it in horizontal sections from the back of my hair and working forward. When I was done I wrapped my hair and went to sleep. At the end of the day the humidity proved to be stronger and caused my hair to inflate a little. I mean it was ok but I know what my hair can do so I decided to do a small touch up. Since the moisturizer evaporated a little I added a small amount of protecting cream. As you can see the end result was great. I was completely satisfied with the way it turned out. My hair lasted for about a week and kept it smooth by wrapping it each night. Like I said before, my main concern at this point is protecting my hair when heat styling. During my next wash I checked to see if my curls bounced back and they did. It looks as though I’ve found a product that works great for me. 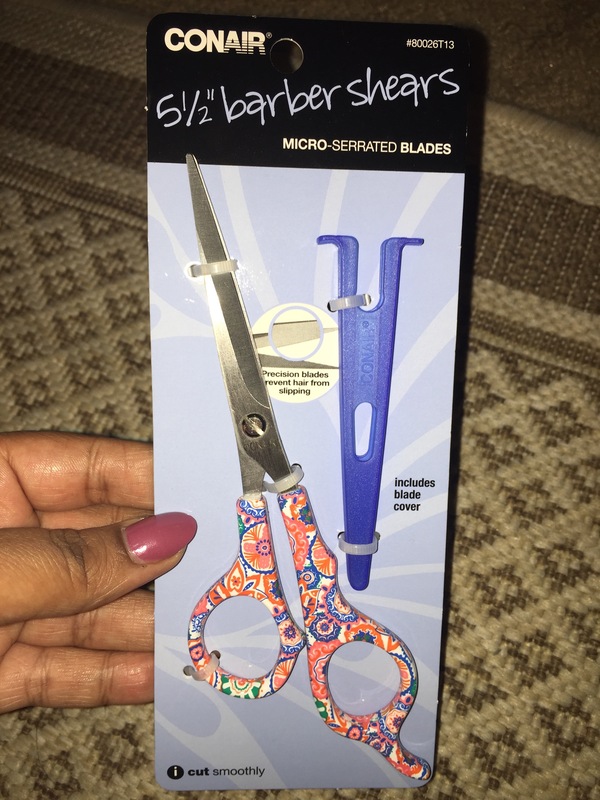 Although I found this great product, I’m going to continue to wear low manipulation styles until my hair is 100% natural. Well that’s all for now guys. Make sure to follow the blog and don’t forget to follow me on Instagram and Twitter at @_curlyncurvy. See you next time! So I think it’s time to dive into the subjects that I wish to cover and give an introduction to each one. A large part of this blog will be my hair which is currently a situation. Like many others, I’m transitioning my texture back to it’s natural state. However, my transitioning story is a bit different than others. I was born with natural curly hair. Actually I wasn’t born with any hair, lol. No really the hair grows naturally curly but my mother grew up in a world where it was common practice to chemically straighten hair. So when she felt I was old enough she gave me a relaxer. I didn’t get many, maybe the most, 4 a year. But the older I got the more I wondered about my natural texture. During my senior year of high school I made the decision to have my last relaxer for prom. My mom was ok with it so I went for it. Looking back, everything went as expected. 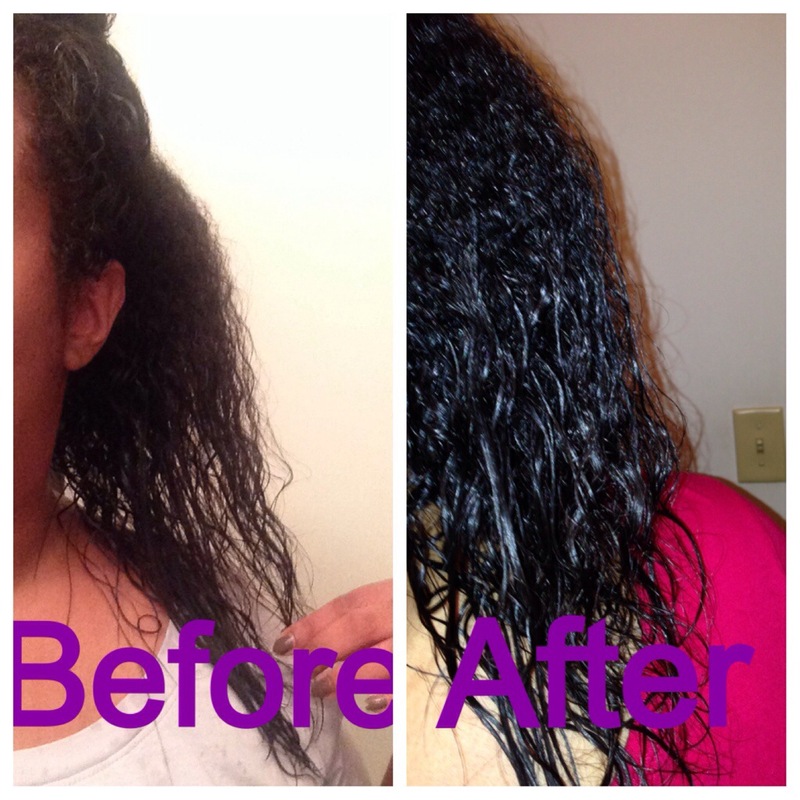 With the help of regular trims and keeping up with my cleansing, my hair transitioned back to its natural curl. The only problem was that this was between 2001-2003 and back then not a lot of people were going natural. Therefore, I had no idea how to style it or what products to use. So come fall of 2005 I requested another relaxer. I felt since I was flat ironing my hair for the most part, then having curls was pointless. I continued with the relaxer for a few more years but it became boring. After receiving a deep conditioning treatment that I wasn’t happy with, I decided no more relaxers. Again, I cleansed my hair and received regular trims. I saw results but still didn’t know how to style it. At this point it’s 2010 and the transitioning movement still isn’t as big as it would later be. 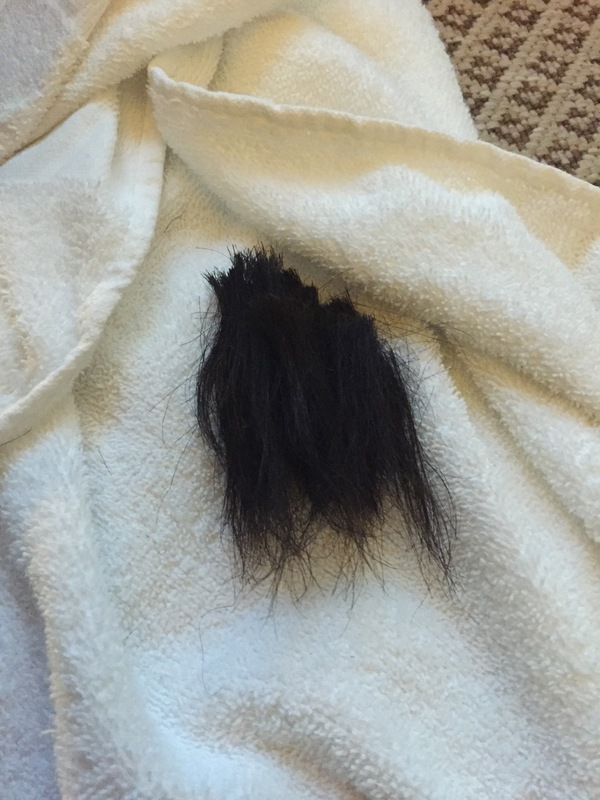 So I had someone talk me into a texturizer…dun dun duuuunnnnn. Big mistake. So the first one was ok. I still had a lot of curls but they were loose. But then I got another one, and this is where it all went bad. 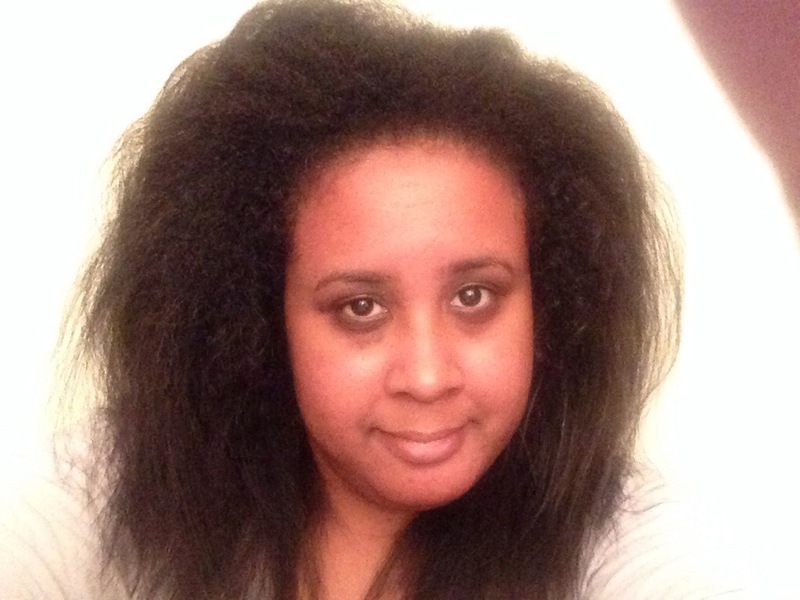 I think it was left on too long and basically relaxed my hair and I ended up with an uneven texture. So I knew that I had to start all over but this time I was lucky. At this same time I became familiar with a new all natural salon named Synergi Salon. They were familiar with the transitioning process, had their own line of products and didn’t provide relaxers so I knew it was a step in the right direction. So again I began my transitioning journey for the third time. But it didn’t go so well. 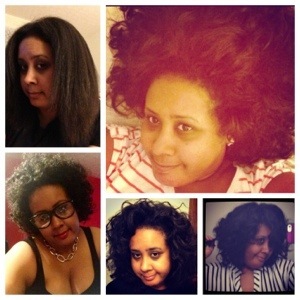 Between the mishap with the texturizer and flat ironing my hair 2-3 times a week, my hair became very weak and damaged. I literally have 5 different textures that I’m dealing with. But I’ve found a way to deal with it and get back on track. I’m conditioning more, I’m using less heat and I’m getting more trims. Let’s just say this is transitioning journey 3.2. I hope it goes well and I’ll definitely let you all know about my whole process. Until next time, be safe and take care. Deuces! !